I mentioned earlier that I like to build my stake beds in February and early March. 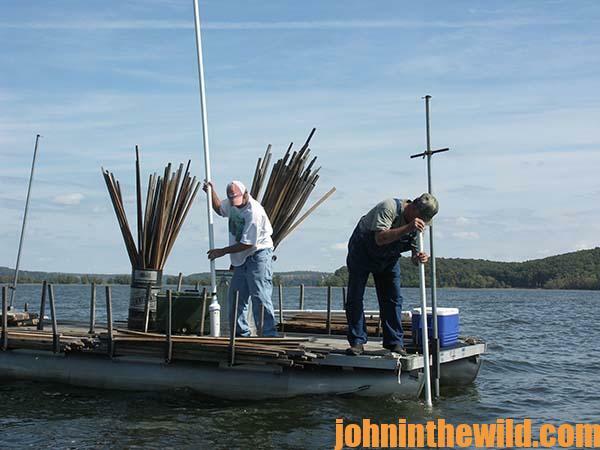 Yes, I have built stake beds and brush shelters that produce crappie within a week or two after I put them out. 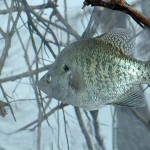 However, my rule of thumb is if I put a stake bed out in late winter, I really don’t expect that stake bed to start producing crappie until May or later. Warm weather causes algae and plankton to build-up on those stake beds. This is the type food that bait fish eat. 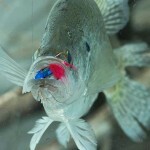 When the bait fish start coming around your fish attractor, the bait fish attract the crappie and the other sport fish. 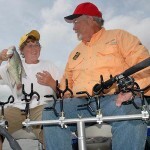 So, don’t be disappointed, if you put out a stake bed the first week in June, you go to that structure but don’t catch any crappie on it all summer long. 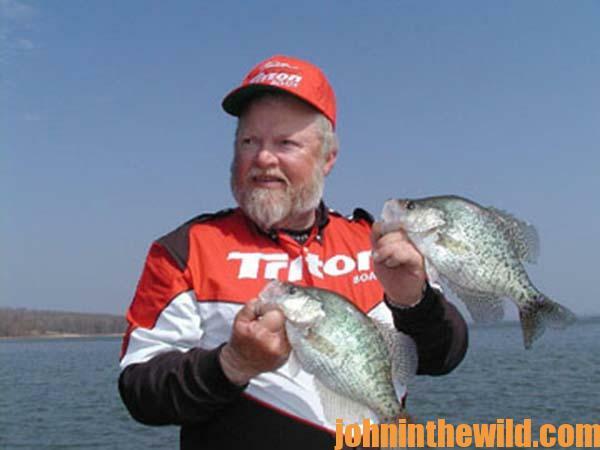 You have to remember that attracting crappie using brush shelters and stake beds isn’t like making instant pudding. 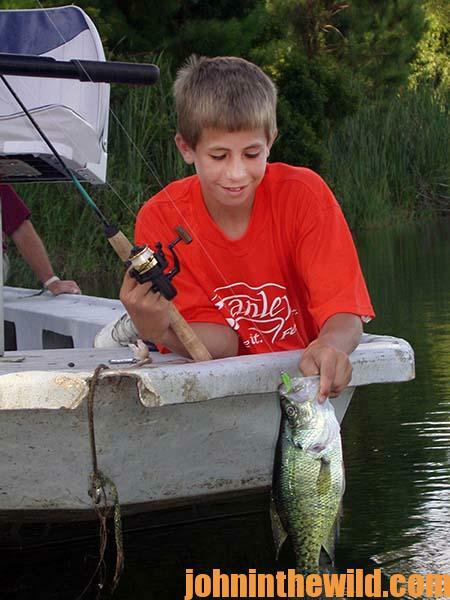 Don’t get discouraged, if your fish attractor doesn’t produce limits of crappie as fast as you think it should. 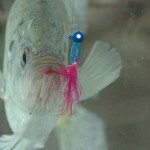 Those fish attractors require time to age, before they can produce crappie. But I will say this. If you sink brush and cover in the warmer months, this cover will start producing crappie sooner than the beds you build in late winter. Always remember, if you’re going to farm crappie that, “The wind giveth, and the wind taketh away.” So, one of the major keys in deciding where to put your fish attractors will be what type of wind may be blowing. Can you get to this fish attractor? Will it be protected from the wind? 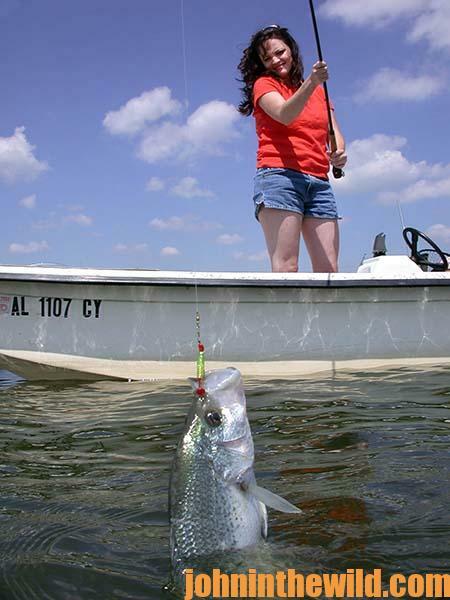 Windy conditions don’t really bother the fish as much as they do the fishermen. 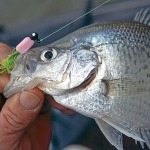 No one likes to bounce up and down and try to hold their poles steady, when they’re crappie fishing. You can have the best, most-productive fish attractor on any lake, but what good is that spot, if you can’t get to it and fish it on a windy day. 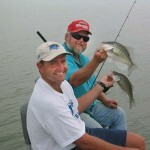 To learn more about fishing with Steve McCadams and fishing Kentucky Lake you can go to his website www.stevemccadams.com, or call 731-642-0360.